Spring break completely fleeeew by! I really can't believe it. I ended up spending a nice and relaxing time in SC with my aunt, uncle, and cousins. It was so wonderful sleeping in and not having to worry about work or school work. Highlights of the week include sweet time with cousin baby Rylan at the park, frozen yogurt at Tutti Frutti, and seeing Frozen for the third time in theaters (Can't believe it is coming out in two days. Please tell me I'm not the only one this excited). But it is so, so great to be back in Athens! I met up with friends for dinner since we have all traveled back to town and our tums were grumbling! 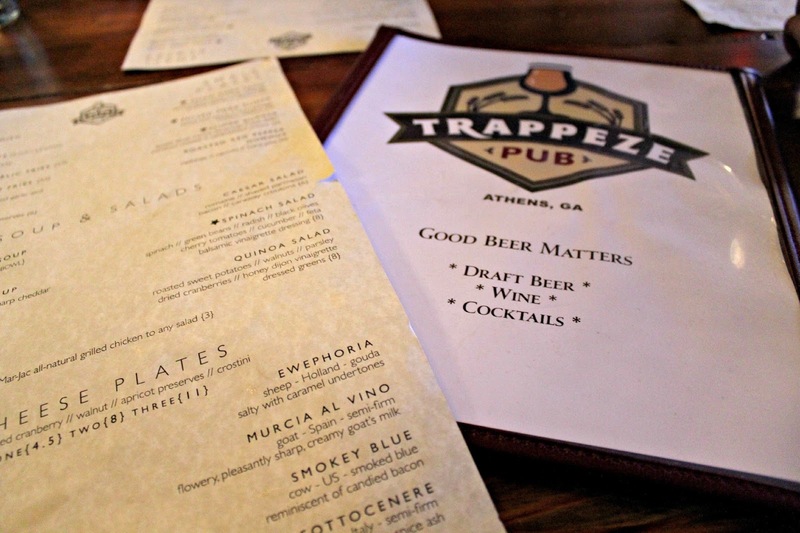 My good friend Jenny suggested Trappeze Pub in downtown Athens. And we were down for the sliders and fries she told us about. Trappeze Pub had lots of little plates and appetizers. I had a really tough time deciding what I wanted. From their freshly made hummus and pita to their beer cheddar soup and Asian pork tacos, everything sounded delicious. I ended up ordering their Slider Burger with "Snake River Farms American Kobe slider pimento cheese and caramelized onions." It was alright, but what I really enjoyed was my side of crispy, salted fries and their homemade raspberry ketchup. I ate the whole plate. Not ashamed. I'm still on spring break. 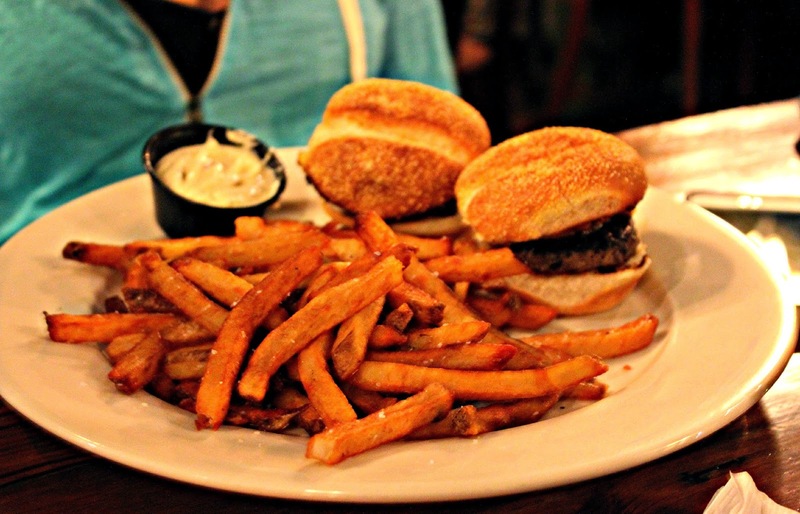 Most everyone at our table ordered the sliders and fries.We all agreed ya can't really go wrong with tiny burgers and pimiento cheese. 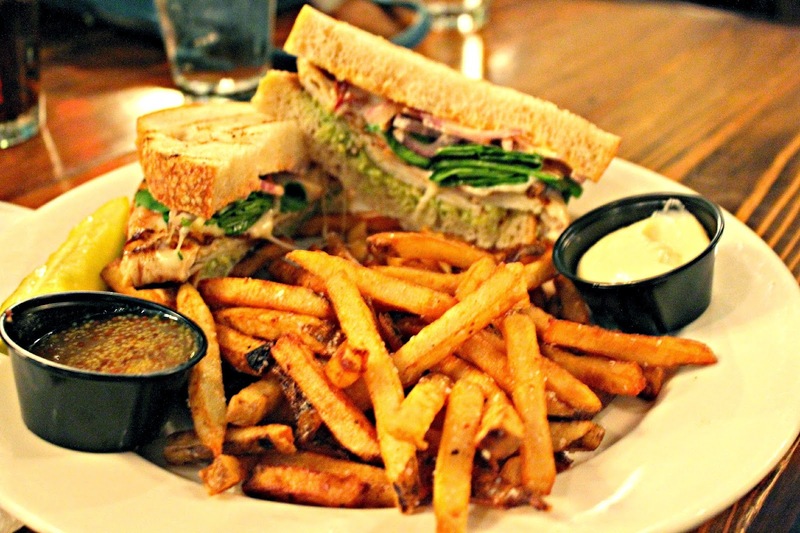 But Sydney ordered the Turkey and Swiss sandwich on "Luna sourdough with avocado, bacon, spinach, and smoked paprika-tomato aioli" and it looked to die for. She told me I could sneak a bite, but I was already so full of fries I just couldn't manage. Then of course, it was time for dessert! Everyone was really in the mood for a milkshake run to Chickfila, but I just wasn't feeling it. 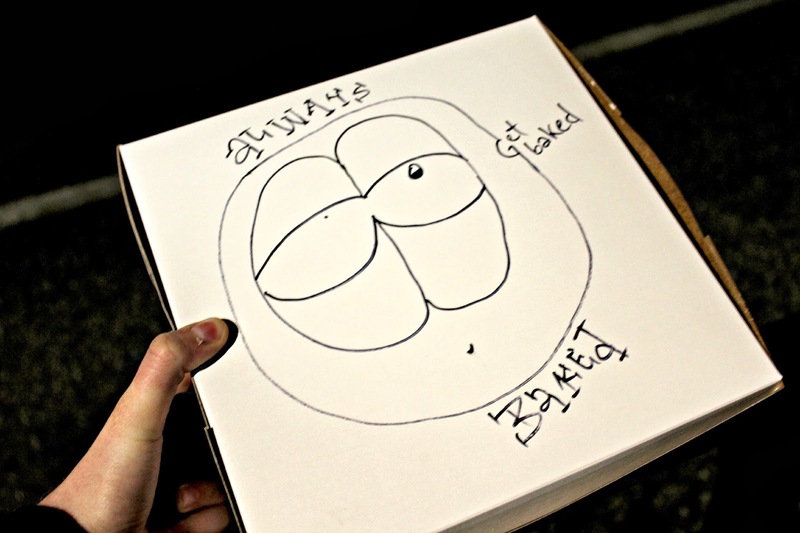 Joni, who is ever so sweet, made an extra stop at Always Baked for me on the way back since I had heard so much about their deep fried cookie dough.Their motto is "Indulge. Study. Chill." and for a very good reason! 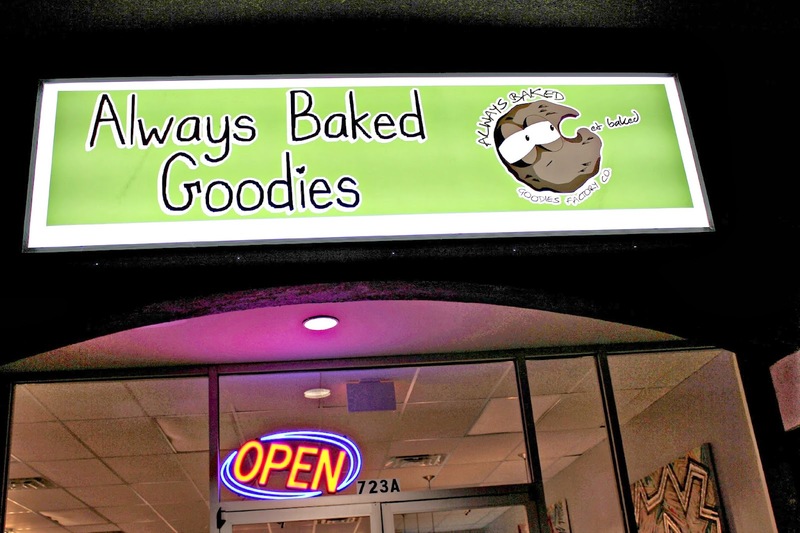 The atmosphere of the bakery was extremely "chill" and laid back. They had an extensive dessert menu with lots of cookie flavors and cookie sandwiches. 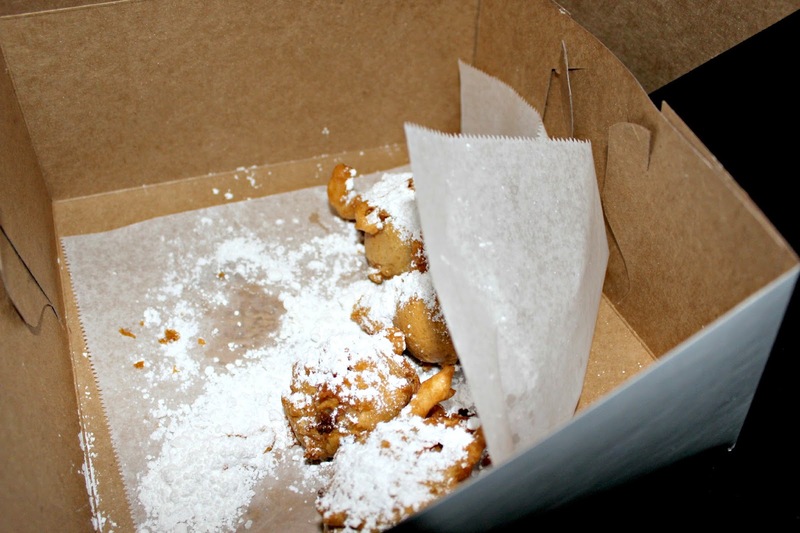 But I knew I had to order their famous "Sack of Nugs," which is their battered and deep fried cookie dough with a sprinkling of powdered sugar on top. HOLY MOLY YOU GUYS. They were so, so delicious. The outside batter was warm and delicious and the cookie dough centers of the "nugs" were heavenly. Yes, I felt 100% awkward ordering a "Sack of Nugs" but once we got in the car and devoured the box of deep fried cookie dough bites, there were zero regrets. It was a great spring break and a great day to catch up and hear about everyone else's spring break adventures at Trappeze Pub. 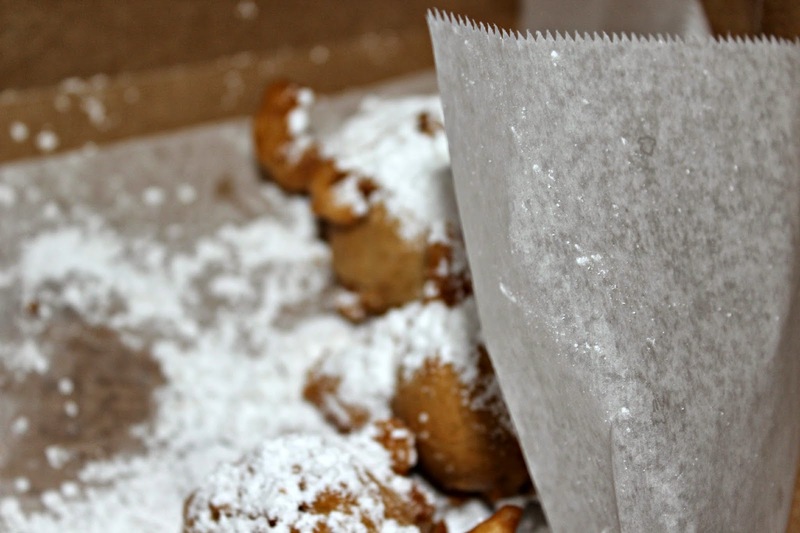 and I mean, it's always a great day to enjoy some deep fried cookie dough. It's good to be back. Oh my goodness, these pictures are making my mouth water!!! I need those french fries in my belly right now. I love Athens, but I haven't been there ever since my sister graduated from there like 6 years ago. I saw recently on an instagram post about some floral design class that is happening in town, but I can't find the details! Do you know anything about this? deep fried cookie dough bites.........what??? can't focus on anything until i get some of those now! they are absolutely to die for. I had no idea how great they were going to be! fantastic in all ways.